Andrea Marshall is a third-year law student originally from the New York City area. She graduated with a degree in Political Science from Columbia University. At W&L Law, she is a Law Ambassador, a Managing Online Editor for the Washington and Lee Law Review, and a Senior Articles Editor for the German Law Journal. Andrea is interested in environmental and international law and will be working for the Sierra Club as a Legal Fellow in Washington, DC after graduation. What made you pursue this particular career path? My interest in environmental law and public interest started during my 1L summer. I worked for an international environmental non-profit in New York City called Pure Earth. They worked on small pollution remediation projects all over the world, and I was impressed by the positive impact this small non-profit could have on major pollution problems. I was also struck by the diversity of issues within environmental law. There is always something new to learn. I learned about the Sierra Club Fellowship position through the Equal Justice Works (EJW) Conference and Career Fair held in Arlington, Virginia last October. I applied and was selected to interview. I knew the Sierra Club to be an incredible organization that fights for issues I am passionate about (plus it made an appearance in my 1L Administrative Law casebook, so I knew it was a big deal). The Sierra Club has chapters and offices throughout the United States and has played a big role in helping to pass some of the major environmental statutes such as the Clean Air Act, Clean Water Act, and Endangered Species Act. Did you have any summer job experiences that pointed you in this direction? 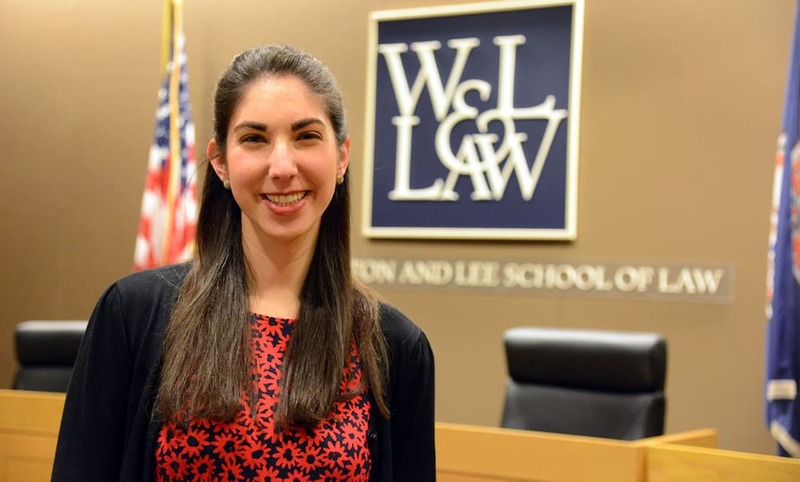 As mentioned previously, my 1L summer sent me down the environmental law path, but a subsequent externship with the Environmental Protection Agency through the W&L Law DC Program solidified my interest and desire to be a part of this field. I worked in the Office of Enforcement and Compliance Assurance, specifically in the Pesticides and Tanks Branch. That branch dealt with the Federal Insecticide, Fungicide, and Rodenticide Act. I was able to do research, write memos, help edit and draft briefs, and attend meetings with senior attorneys in the agency. I also interacted with “water” lawyers and “air” lawyers working on other statutes, and was constantly impressed by the depth of knowledge in the agency and the attorneys’ dedication. Although not in the environmental field, my 2L summer as an intern for the Peace Corps General Counsel in DC helped me develop litigation skills, as I was tasked with drafting document production requests, interrogatories, and a memorandum in support of a summary judgment motion. Can you describe the application and selection process? The application process for the position was through EJW. It is useful to start preparing resumes and cover letters in August because the deadline usually hits at the end of September for these positions. Once all of my materials were submitted, I waited to hear whether I would be granted an interview. The first interview happened with the managing attorney during the career fair and—while it was intimidating as it took place in a very large hotel conference room with hundreds of other people around—I enjoyed speaking with the attorney and learning more about the position and the Sierra Club in general. A few weeks after my first interview, I was contacted by the Sierra Club to come in for a longer second interview with two other attorneys, and a few weeks after that I was offered the position. One nice part about the EJW process is that our Office of Career Strategy is very involved and was instrumental in helping me prep my materials and interview answers. What classes or experiences at W&L Law do you think will be helpful to you in this position? The most helpful classes for me were Environmental Law during my 2L year and Administrative Law during 1L year. I also think my experience writing and editing on journals, as well as doing research for my Law Review note helped me greatly and gave me the necessary skills for this position. Do you know what kind of work you will be doing and where you will be based? While the exact work I will be doing is still up in the air, I know I will likely be working on issues of climate change, and I suspect we will be busy this coming year. I am taking the New York bar, but I will be based out of Washington, DC.